"[A] bitter, despairing novel....Gloomy, gory, and furiously critical of MacArthur, [the novel] throws ice water on mindlessly gung-ho military thrillers, concluding that the only good things about war are the honor and decency of the few good men who fight it. 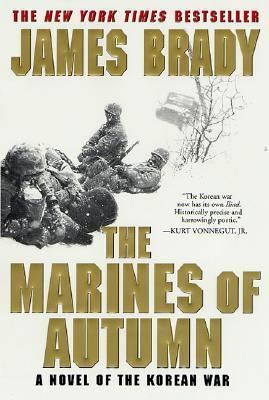 "Brady, James is the author of 'Marines of Autumn A Novel of the Korean War' with ISBN 9780312280819 and ISBN 0312280815. Loading marketplace prices 172 copies from $0.30 How does the rental process work?